James Thomas obituary. Carnes Funeral Home. James “Jimmy” Thomas passed from this life at his home in Galveston, Texas, on Tuesday August 7, 2018. He was 48 years old. Jimmy was preceded in death by his father, James D. Thomas, as well as Joel Gonzalez, Isidro Thomas. 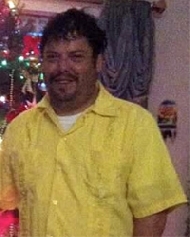 Jimmy is survived by his mother, Juana Balderas Thomas; sisters, Susana Gonzalez (Isidro Figueroa) and their children, Joel Gonzalez (Elizabeth Hernandez) and Elizabeth Gonzalez; Imelda Villa (Agustin Villa) and their children, Fernando and Allison Lujan, Alberto Lujan III, Carlos Ricco Aceves; Ruby Thomas (Cesar Rodriguez) and their children, Miguel Trevino, Rolando Trevino (Ann Marie Castro), Josa S. Thomas (Priscilla Silva), and Ariel R. Thomas; brothers, Juan Thomas (Irma Moreno), John H. Thomas and children Julia Juanita Thomas, Jonae Yvetta Thomas; nephew, Isidro Thomas, Jr. (Caroline Felix); and his close friends, Gabino, Beto, Chuy, Alex, Marty Sendejas, and the 43rd Backtrack Hood. Jimmy was known as the ‘Sherriff’ of his neighborhood in Galveston, which means he was known for taking care of his neighbors. He was well-known and well- liked by his friends and neighbors. He would clean up, pick up cans, and take care of neighbors. Though he is gone, he will not be forgotten. Family and friends will miss him greatly. Serving as Pallbearers will be Joel Gonzalez, Fernando Lujan, Alberto Lujan, Miguel Trevino, Rolando Trevino, John H. Thomas. Visitation and Viewing will take place on Friday, August 10th from 10 a.m. – 12:30 p.m. followed by a Funeral Mass from 12:30 p.m. – 1:30 p.m. at Carnes Funeral Home, 3100 Gulf Freeway in Texas City, TX 77591. 409-986-9900. Burial will follow at Mainland Memorial Cemetery in Hitchcock.